Exercising in the winter isn't always easy, especially when the sun goes down earlier and earlier each day. But if you start to follow suit by holing up in Wilmington apartments day after day, you'll eventually start to regret it. 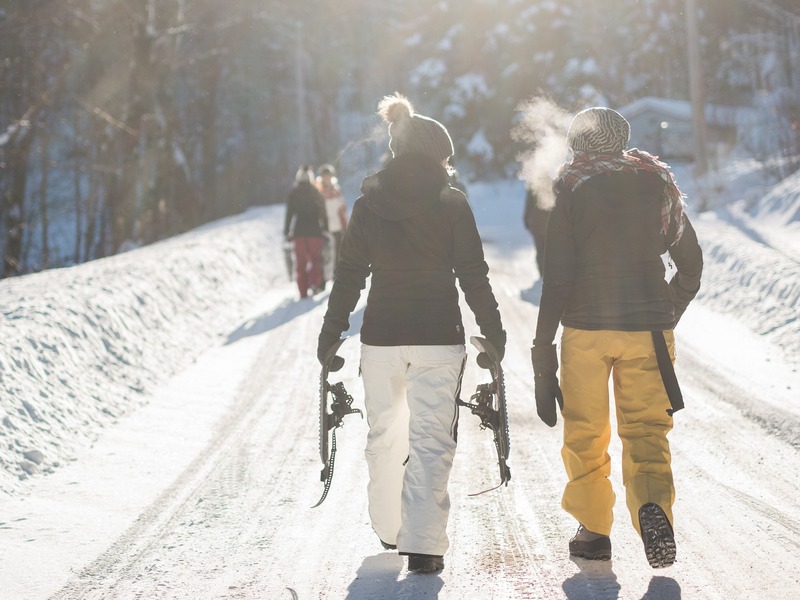 Use these three winter exercise ideas to energize your body and mind. You may not be able to get back to your breezy summer and spring state of mind, but it'll certainly get you closer. The sun isn't going to be as warm as it used to be, but it's every bit as important to feel it on your face during these months. Your body is not the same as a bear's — you still need vitamin D on a regular basis. Wilmington may have its cloudy days, but you should be able to find a few stray afternoons when you can bundle up and take a walk. You'll feel the boost for the rest of the day. It may seem counterintuitive, but going to the gym can be far easier to do when the weather is better. The dark days tell us to sleep in or to head straight home after work. If you're feeling your resolve weaken, try doing bodyweight exercises indoors instead. Running in place, lunges and pushups are a way to get cardio and resistance training in without having to clear any space. The couch to 5K plan is motivating for so many people because it doesn't assume anything about your athletic ability. It's literally in the name that you can go from lying on the sofa finishing up a Netflix marathon to running a very different kind of marathon (or at least 11 percent of a marathon). Wintertime can be a great season to relax and recharge before spring, but your body still needs exercise if you hope to stay healthy year-round. Going a few days around the holidays without working out is normal, but extending that break long after the tree comes down will only set you back. If you're looking for an apartment complex with a 24-hour fitness center, call Cypress Pointe today to take a tour of our facilities!